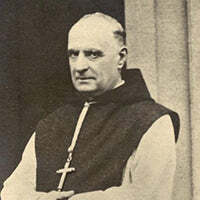 Dom Jean-Baptiste Chautard was born in 1858. For many years, he served as the abbot of Sept-Fons, a Cictercian monastery located in France. Best known for his writings on the apostolate, he emphasized the fact that its fruitfulness depends upon the deep interior life of the apostle. The Soul of the Apostolate was originally published in 1977 and reprinted in 2008. Dom Chautard died in 1935.